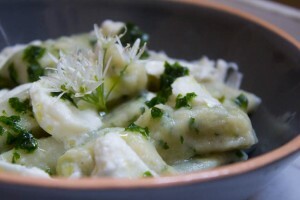 There are different shades of green in spring; the deep greens of kale and purple sprouting broccoli and the vibrant greens of asparagus and wild garlic. It is around this time each year that things seem to come alive, the evenings are getting longer and the days warmer. Trees are blossoming and everyone seems to awaken from a winter slumber to shake off those cobwebs (literally and figuratively). I start to cook lighter meals at this time of year but there’s always room for something more indulgent for those chilly evenings that catch you by surprise. 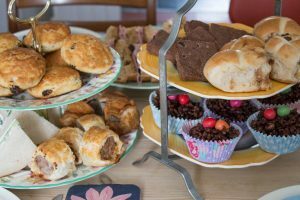 With so many things about to come into season there’s much to look out for and these are my favourite spring recipes. A few of my favourite hearty meals, which also lend themselves very well to a bit of batch cooking and freezing, are all pasta related! 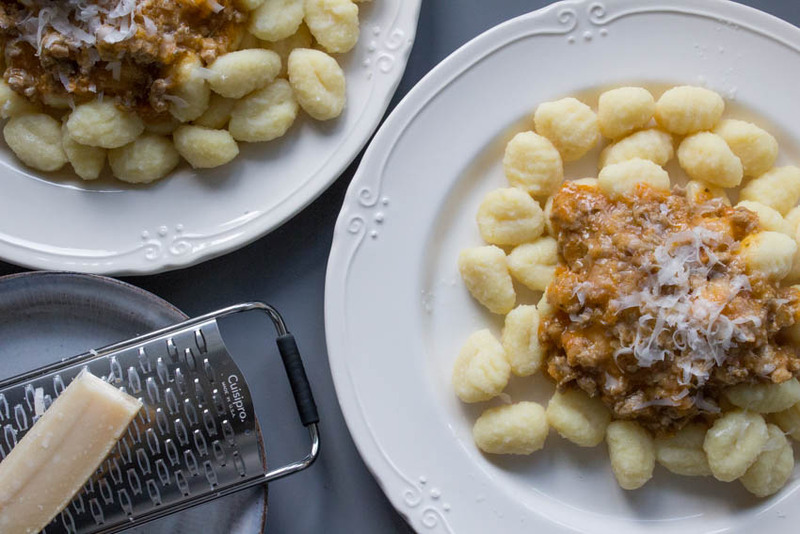 There’s my Tuscan Sausage Ragu which was inspired by a meal I had in Tuscany; you’ll need excellent sausages for this. 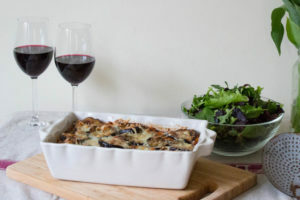 My Layered Ragu and Aubergine Pasta Bake takes a bit of time to make but it is so worth it, the more aubergines the better as far as I’m concerned. For something a little lighter, and my favourite way to cook with chard, my Chard and Bacon Open Lasagne is much less effort than a normal lasagne. 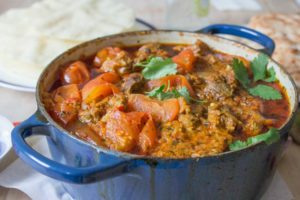 I do love a bit of spice and a tomato based curry is one of my top comfort foods; this Slow Cooked Lamb Curry is full of spices and fresh flavours. A quick and easy weeknight dinner is always a bonus; it allows for extra time in the garden on those long evenings. 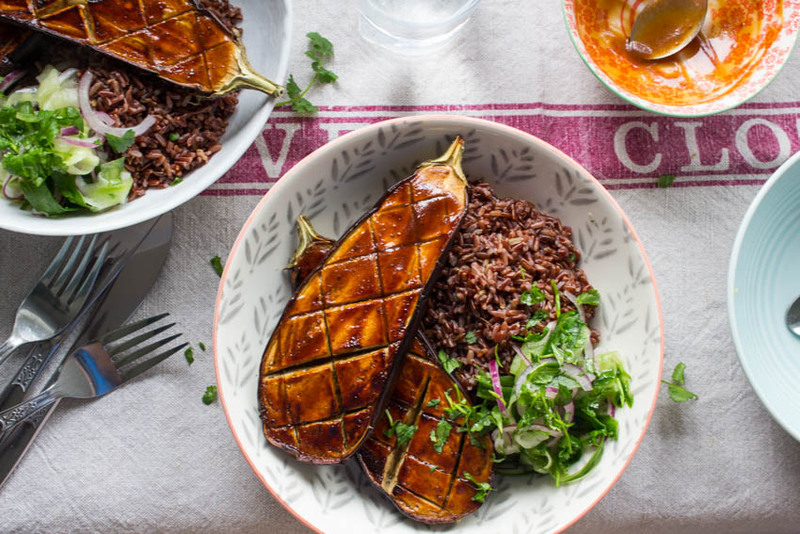 A baked aubergine is one of my favourite things to eat; be it with pesto, jerk seasoning or my Miso Glazed Aubergine. 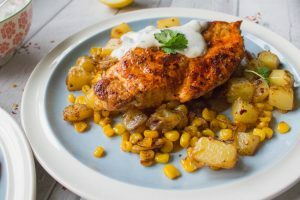 The smoky flavour of chipotle chillies and the sweetness of the sweetcorn work so well together in my Chipotle Sweetcorn Hash. 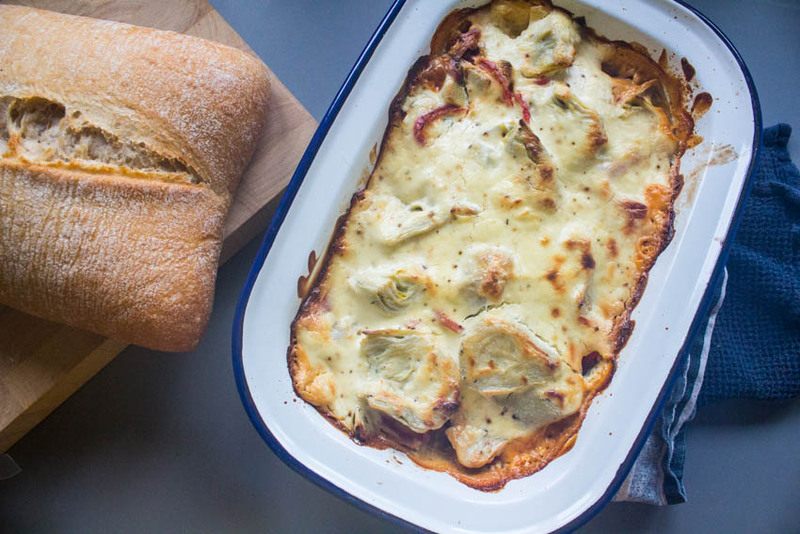 For a real hint of summer my Artichoke and Red Pepper Gratin is just asking to be enjoyed outside with a cold glass of wine and some warm crusty bread. 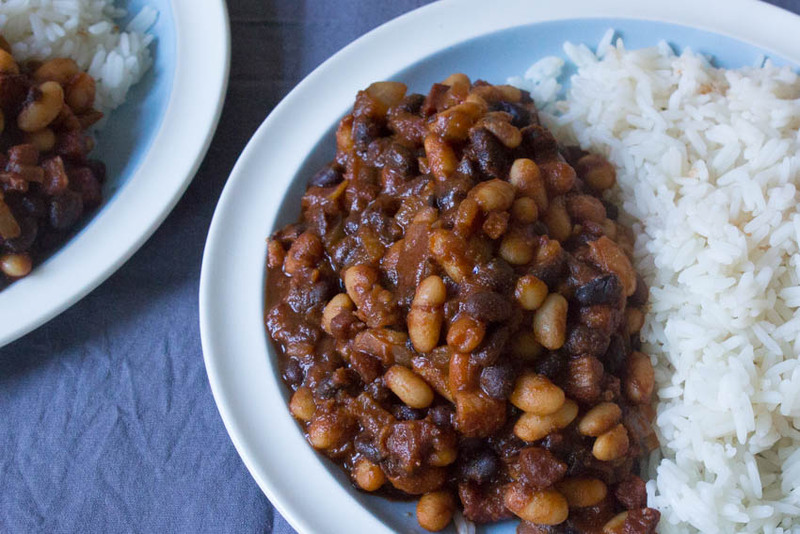 Having some delicious veggie meals stashed away in the freezer means I always have something I can serve with baked potatoes, rice or bread and my Smoky Cowboy Beans and my Lentil and Black Bean Chilli are two of my favourite recipes. It wouldn’t be spring without Easter and a wonderful Easter Afternoon Tea is well worth a try; sandwiches, sausage rolls, scones, chocolate shortbread and rice krispie nests. 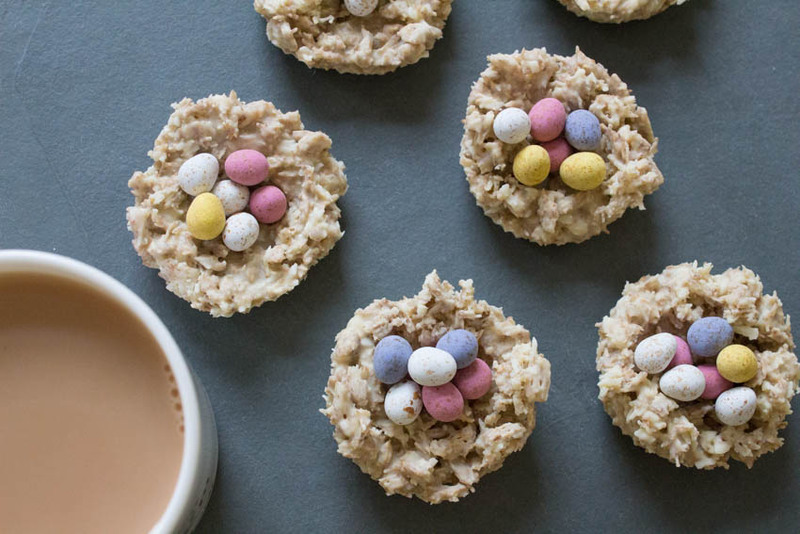 For something a little different to the usual why not give my White Chocolate Easter Egg Nests a go? There’s always room for some baking and these Spanish Fennel Biscuits are similar to something I tried in Madrid. 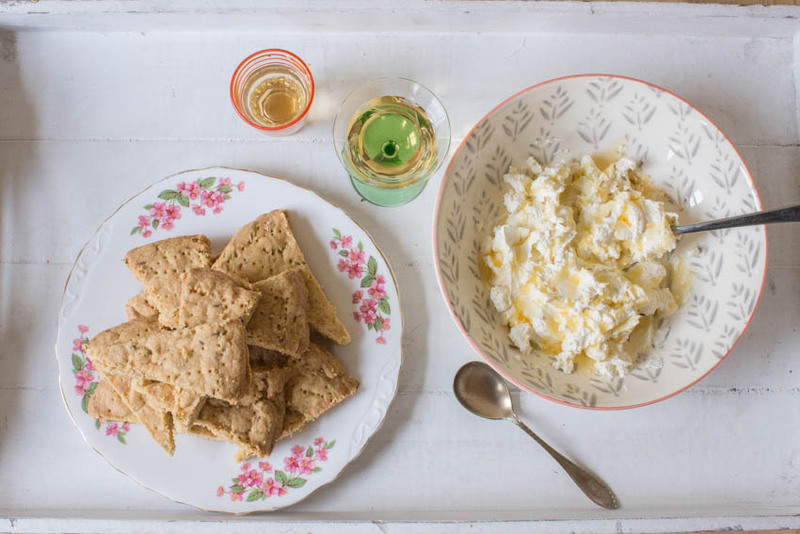 Delicious with cream cheese and sherry! 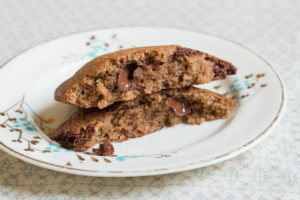 I like my cookies crisp on the outside and gooey in the middle and my Double Chocolate and Orange Cookies are exactly that! 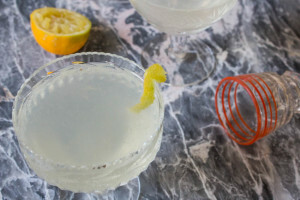 A few other things to look out for at this time of year are Bergamot lemons and I’ve got plenty of Bergamot Recipes to try: as a salad dressing, in a cake and in a cocktail! If you’re lucky enough to find some wild garlic there’s plenty of cooking inspiration if you take a look at these Wild Garlic Recipes. And don’t forget about the Purple Sprouting Broccoli and Rhubarb! 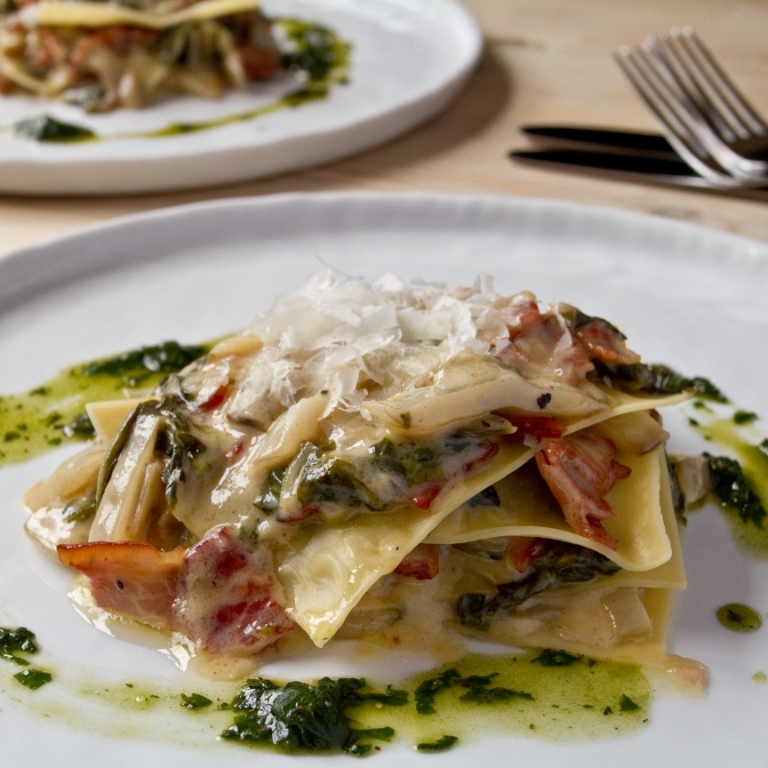 What will you be cooking up this spring? Still not quite feeling like spring where I am, but slowly getting there. I can,t wait for the new shades of green too. 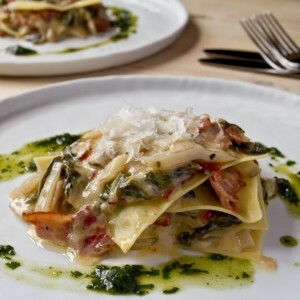 All great dishes but the one that caught my eye most is the Chard and Bacon Open Lasagne, yum! Such a wonderful collection of spring-appropriate recipes. But, your Layered Ragu and Aubergine Pasta Bake is now stuck in my mind. I’ll be giving that one a good go. Thanks for putting this together. A lovely pastiche of recipes, but one of my favorites of yours will forever be the miso-glazed eggplant! What a lovely set of spring recipes, Caroline! 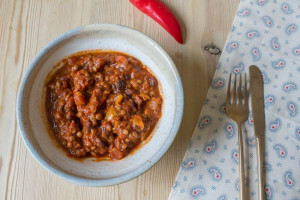 I love anything with lamb or aubergine (sounds so much more civilized than “eggplant”.) 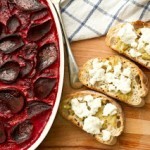 And rhubarb is one of my all-time favorites! Thanks for all of these beautiful and delicious choices! Some really terrific recipes here! I wanna try them all. 🙂 SO glad that spring is finally here — we’ve had a rough winter. Thanks! So much delicious inspiration! Love those Easter nests!!! Adorable! 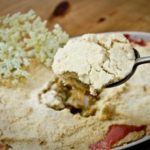 Delicious spring recipes. Even though our temperatures don’t vary much here in Florida, I do think of certain foods for spring. Asparagus, peas and lamb come to mind. 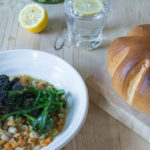 I still love to eat quite hearty food in Spring and I love that there are some great meals here for cooler days too! 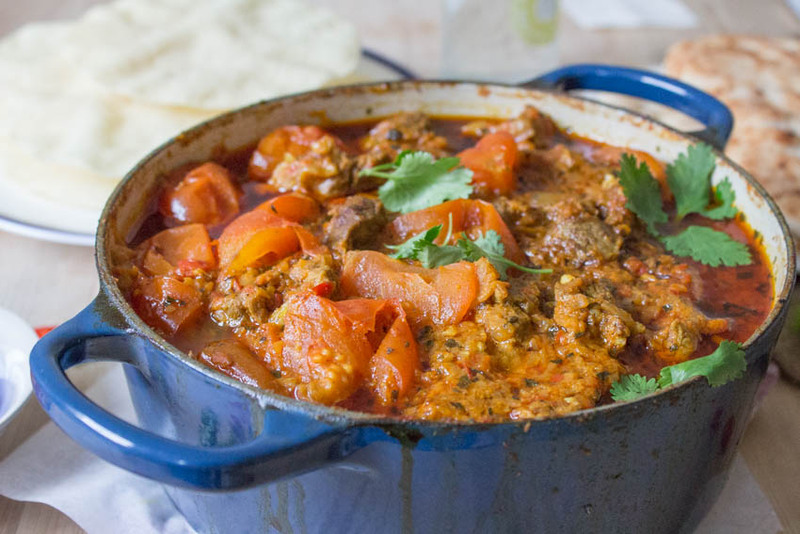 I would love that slow cooked lamb curry.